Voices of Wisdom, in Asheville NC, completed one circle and initiated another. Before I knew anything about the Sacred Fire Community or Foundation, I knew Wanbdi Wakita. 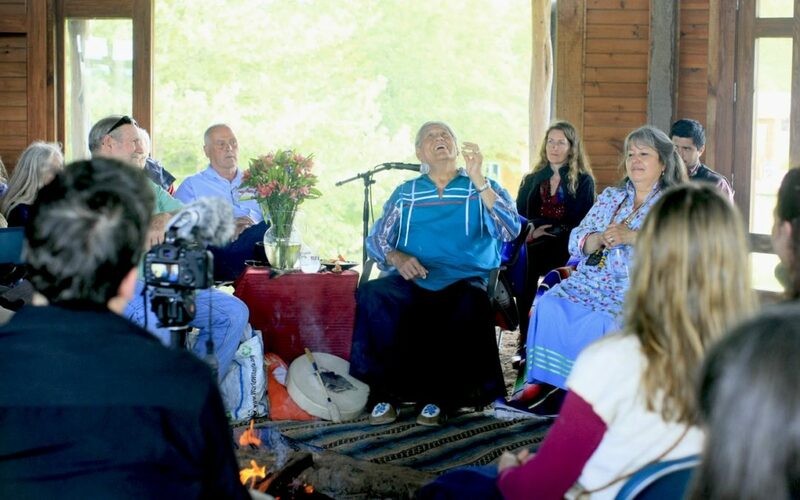 The circle began about 15 years ago, in the heat of Wanbdi’s Purification Ceremony, where I prayed to my Ancestors to help guide me on my journey. Soon after that lodge, I found Eliot Cowan’s book Plant Spirit Medicine, which led me to the Sacred Fire Community and later the Foundation. In the Council House (2016) as part of the Sacred Fire Foundation’s vision to reignite peoples’ hearts through Indigenous wisdom, a circle was filled as I introduced one of the main speakers, Wanbdi Wakita. The inception of another circle was when I met Kahontakwas, Diane Longboat. 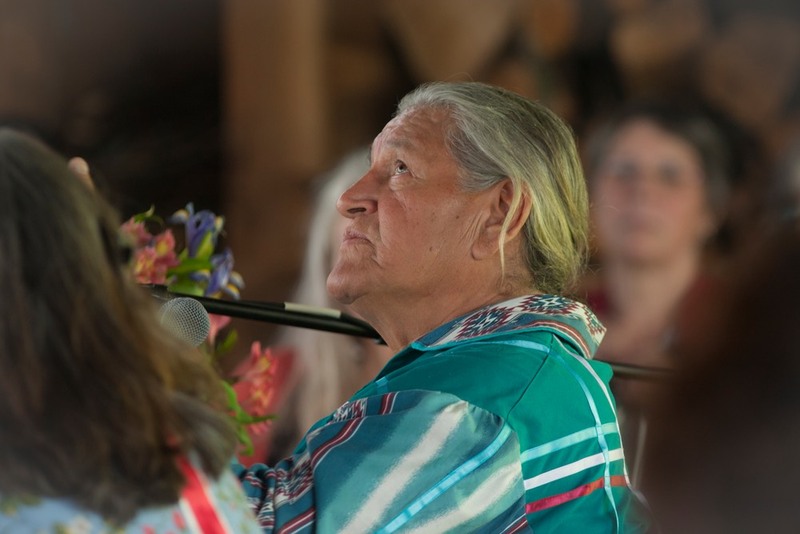 Mohawk elder, founder of Soul of the Mother and Project Manager for Indigenous healing programs at the Centre for Addiction and Mental Health in Ontario. Since moving to Toronto four years ago, I had heard of Diane’s work, including a course she developed at the University of Toronto where medical students were introduced to Indigenous worldviews and practices. Like many other people in the Council House during Voices of Wisdom, when Diane brought and shared the history of a two-row wampum belt, Guswenta, created in the 1600s, I felt the gamut of human emotion. What I remember from what she shared was that the wampum was the original representation of the relationship between the Six Nations (Iroquois Confederacy) and the Dutch. She said, “Our relationship is 403 years old now.” The original agreements, embodied as a living treaty within the belt, have been to travel parallel with each other in the river of life without interfering, while upholding the principles of friendship and peace in perpetuity. I wondered to myself, imagine that agreement had been honored. What would our world look like today? A wide-sweeping grief moved through my body. Yet, Diane incited hope for the future. 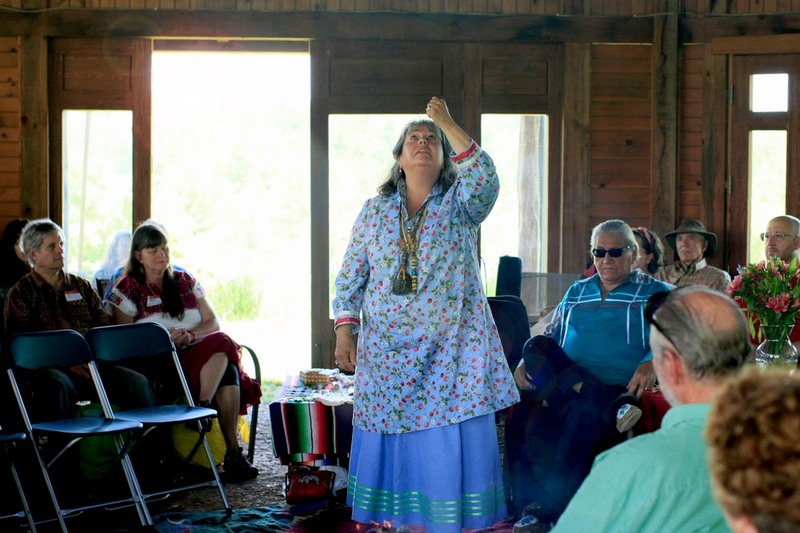 Her spiritual guidance has led her to uplift all people, and relayed the importance of all children in moving toward the original agreements – to completing the circle.